White Flour. Eat It If You Don’t Like Going To The Toilet. One of the biggest initial challenges when embarking on a healthful plant-based lifestyle is losing the white flour. It’s not that whole grains don’t taste good; it’s just the sheer ubiquity of white flour in everything. The bloody stuff is everywhere! It is even – get this – in WHOLEMEAL bread! It’s like the manufacturers are scared to let the bread be 100% wholemeal. There is a particular wholemeal bread in a UK supermarket, which is sold as 100% wholemeal, but the ingredients say it has white flour sprinkled on top! FTW? Why would they DO this? White flour is essentially wholemeal flour with the germ and the bran (i.e. THE GOODNESS) removed. If you’re really unlucky, your white flour will also be bleached. What the heck else would you eat bleached?? Why was white flour invented in the first place? Was it because the millers cared about the health of the people? Was it because it made the flour cheaper for the people? Was there any other lovely, altruistic reason to white up the flour? This is why it was done. To give it a longer shelf life, i.e. less waste. i.e.more profit. Some old miller way back when (there is conflicting information as to when this was) found out you could take out the bran and the germ, and the flour lasted longer – but it still had the wheat germ oil in it from when the wheat had been crushed, and this still meant the flour had limited life. So, they found a way to strip the germ clean away from the grain, oil and all, and voila – white flour. Another popular theory, not for the invention of white flour but for its popularity, is the age-old thing of people liking white flour better because it made the bread look purer and cleaner, and made them feel that by eating it they were somehow of higher status than those that ate brown bread. Yes, people were stupid and vain then, too. In the years that followed the invention of white flour, there were higher than ever recorded cases of Pellagra – a gross skin disease of malnourishment caused by deficiency of B vitamins. All the vitamins that had been stripped from wholemeal flour, funnily enough. And THIS is the most crazypants thing I’ve ever heard – instead of stopping dicking around with perfectly good, healthy whole wheat; white flour is now ‘enriched’ with B vitamins and iron – the very nutrients it has been stripped of in the refining process! Isn’t this more energy consuming? And this still doesn’t make up for the fibre that is lost by removing the bran. It’s amazing that white flour is still a thing. It does nothing but constipate and spike your blood (as it converts very quickly to sugar in the body). I completely understand however, that we’ve all been brainwashed into thinking white flour is necessary to make cakes and baked goods, and it can be a challenge at first to find alternatives. I’ve also seen all the ads for white bread, or the ridiculous ‘Best of Both’ (what, really? 100% wholemeal bread would kill you? ), where it’s portrayed time after time as what ‘normal’ ‘healthy’ salt-of-the-earth families eat. Find a good wholemeal bread, like this one (available in Sainsbury’s and Waitrose) in the UK, or this one (available in Whole Foods) in the US. I can’t recommend for anywhere else because I haven’t tried wholemeal bread anywhere else, but basically what you’re looking for is a bread with 100% whole wheat, no sugar, and minimal ingredients. This can be difficult. I know in the US I’ve been surprised to see many breads that look great and are marketed as healthy, but have an ingredient list as long as your arm (with lots of chemicals included), and packed full of sugar. If all else fails, wholemeal pita bread is great. It’s rare that it has more than a few ingredients, and seldom will contain sugar. It doesn’t take very long at all to get accustomed to the taste of wholemeal bread, and very soon you’ll wonder why you ever bothered with the tasteless white stuff. You do not need white flour to get a light cake sponge. 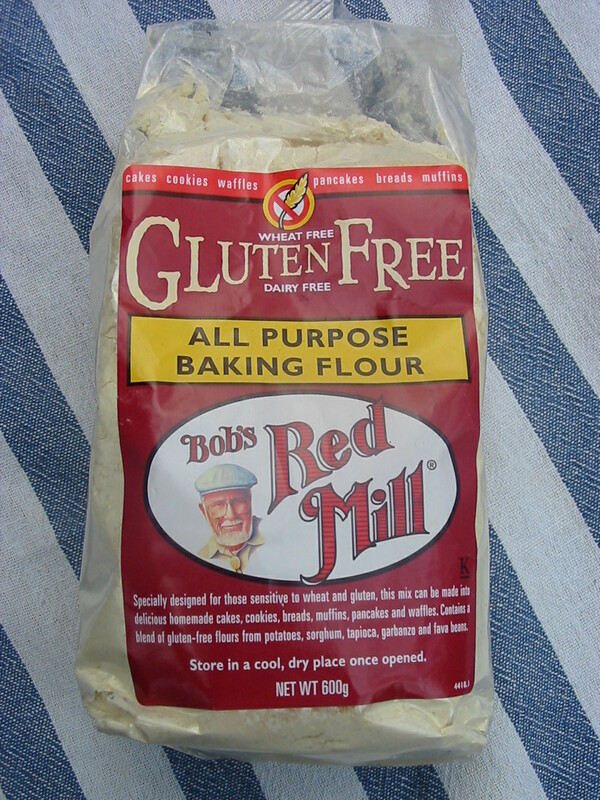 The best flour for lightness of cake-age, is this one – Bob’s Red Mill All Purpose Baking Flour – and it’s gluten-free too, for any celiacs out there. It’s made of garbanzo bean (chick pea) flour, tapioca flour, fava bean (broad bean), and sorghum flour. Don’t worry; it doesn’t taste of any of those things! It’s white-ish in colour too. No-one will know your goodies are not made with white flour, and it’s healthy as heck! And it’s available everywhere, and online – hoorah! 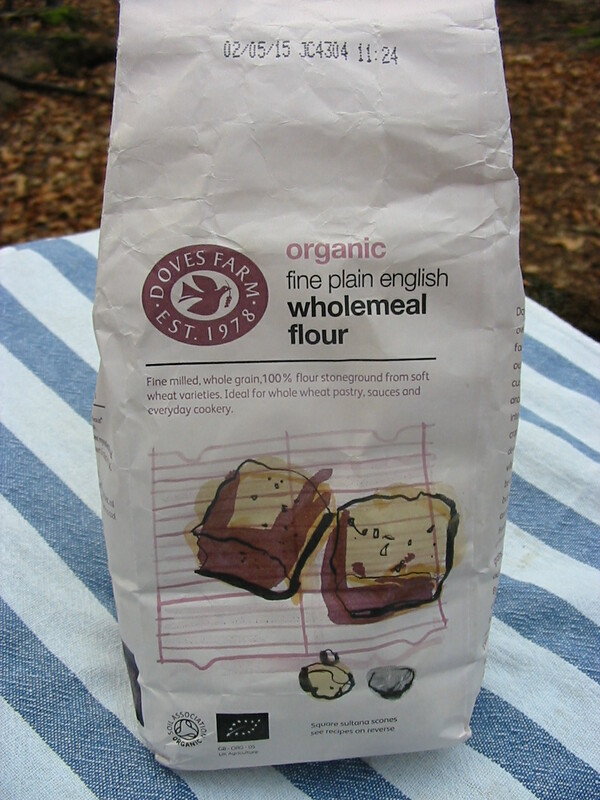 As it’s quite expensive, if I’m making a cake I’ll use half Bob’s Red Mill, and half organic whole spelt flour. 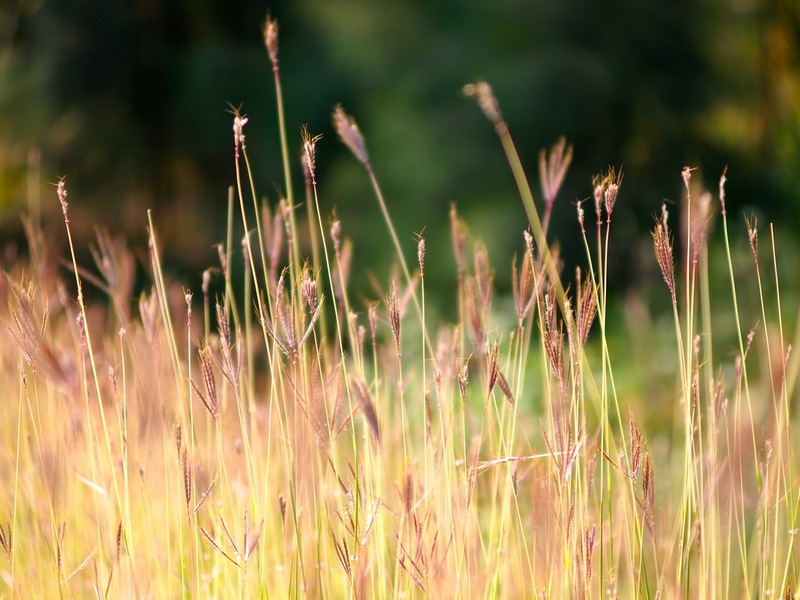 Spelt is an ancient form of wheat (it’s what the Romans used! 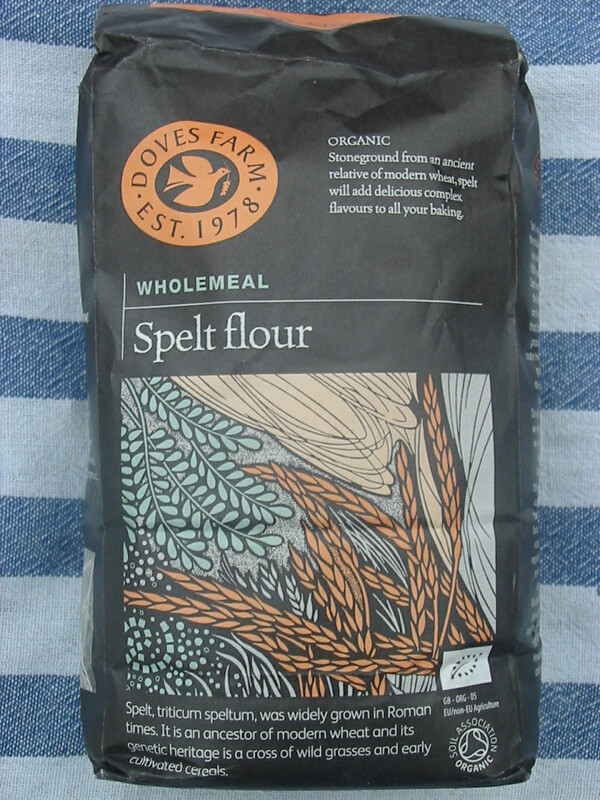 ), and has more nutrients than regular wholemeal flour. Otherwise, it acts pretty much the same as wholemeal flour, and gives the same kind of texture. I personally don’t mind the denser texture of these whole wheat flours, but if you want more lightness use whole spelt or wholemeal flour for half the recipes recommended amount, and Bob’s Red Mill for the other half – or just use all Bob’s Red Mill and get a super light consistency. If you are making your own bread, either the whole spelt, or wholemeal flour will give you a rustic, dense, delicious loaf. There are other flours – buckwheat, brown rice etc – which are gluten-free and you may want to look into these if you’re celiac so you have other options than the Bob’s Red Mill – but they are not as easy to bake with, so if you’re not gluten intolerant, I’d stick with the three already mentioned. And gram (chick pea/garbanzo) flour or coconut flour etc, are great whole flours to use if a specific recipe calls for it, but again, whole spelt, wholemeal and Bob’s Red Mill All-Purpose should cover your main flour needs. Wholemeal pasta is cheap and available everywhere. You’ll get used to it so quickly. You got used to the taste of white pasta when you first started eating that, and you’ll get used to whole grain pasta in exactly the same way. If you struggle at the beginning, keep reminding yourself of the vitamins and minerals and fibre that your body is getting. IT wants the whole stuff even if you don’t! Rice crackers are a great alternative to white flour crackers, and there are lots of speciality crackers out there now that have whole ingredients and do not use white flour. Try these, or make your own!